Description Recent Arrival! 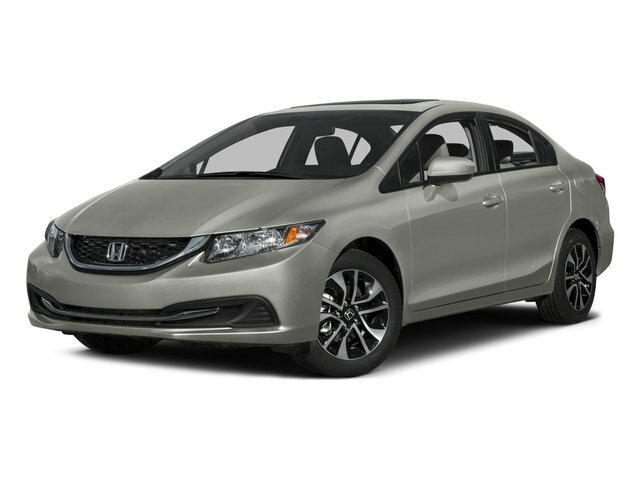 Rear Backup Camera, Bluetooth, USB/AUX Ports, Civic EX, 4D Sedan, 1.8L I4 SOHC 16V i-VTEC, CVT, FWD, Gray w/Cloth Seat Trim, 4-Wheel Disc Brakes, ABS brakes, Exterior Parking Camera Rear, Four wheel independent suspension, Power moonroof, Remote keyless entry. Radio: 160-Watt AM/FM/CD Audio System -inc: 6 speakers 7" display audio w/high-resolution WVGA (800x480) electrostatic touch-screen and customizable feature settings HondaLink Next Generation Pandora compatibility Bluetooth streaming audio display audio interface front and center console USB audio interface MP3/ Windows Media Audio (WMA) playback capability Radio Data System (RDS) and Speed-Sensitive Volume Control (SVC) Check the HondaLink website for smartphone compatibility and access to the display audio interface. The display audio interface is used for direct connection to and streaming from some current smart phones. Some smart phones may not work. Please see your Honda dealer for details.